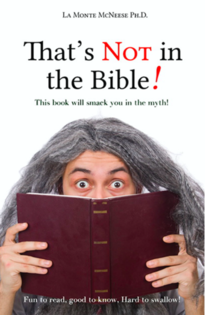 This is a book chock-full of misquoted scripture passages, false Bible aphorisms and unbiblical phrases that church folks say. The seven deadly sins… That’s Not In the Bible. Tarrying for the Holy Ghost… That’s Not In The Bible. Touch and Agree… That’s Not In The Bible. By his stripes you are healed…That’s Not In The Bible. Sending Prayers…. That’s Not In The Bible. incubus and succubus…That’s Not In The Bible. Obey them that have rule over you…That’s Not In The Bible. Good to know ~ Fun to read ~ Hard to swallow! Are You a Son of God or Child of God? Chief Apostle Floyd E. Nelson, Ph.D., D.D. We believe we offer an excellent level of author care from the inception of a project right through the publishing life of your book. From the start we believe in good communication, keeping our authors informed of progress. We stay in regular contact and offer a high level of support to our authors. We will make every effort to help you meet your targets and to ensure a rapid publication of your work once it has been submitted. We attend several Christian book fairs and conventions each year. We offer you the opportunity to expose your book to hundreds of thousands of potential buyers. You may piggyback on our booths at a fraction of the cost or allow us to do all of the work by placing your book with us for consignment. At IPC we maintain a personal relationship with our authors giving them advanced notice of opportunities to generate cash sales. Your IPC published book will always be prominently displayed on our booth wherever we set up for a live event. When you publish with us, world wide web searchers can always find your book on one or more of our popular websites. If your title pleases broadcasters you may retain us to secure both live and prerecorded radio interviews that instantly take your book and ministry to another level. With IPC as your agent, you will impress your family and friends by appearing on media shows across the country and without paying a single dime to the radio stations. Unlike other publishers, IPC does not demand a percentage of your book profits. Once your book is complete all funds generated from the success of your sales belong to you. We only ask that you sign a simple publishing agreement authorizing us to work on your manuscript. With IPC there is no red tape, no hidden fees, and small print. We use a one-page customized publishing agreement for each individual author. After assessing your needs we can recommend several different payment options to ensure that your book project keeps moving along until the ink is dried and your book is on the shelves!